Happy Wednesday, Squiders! 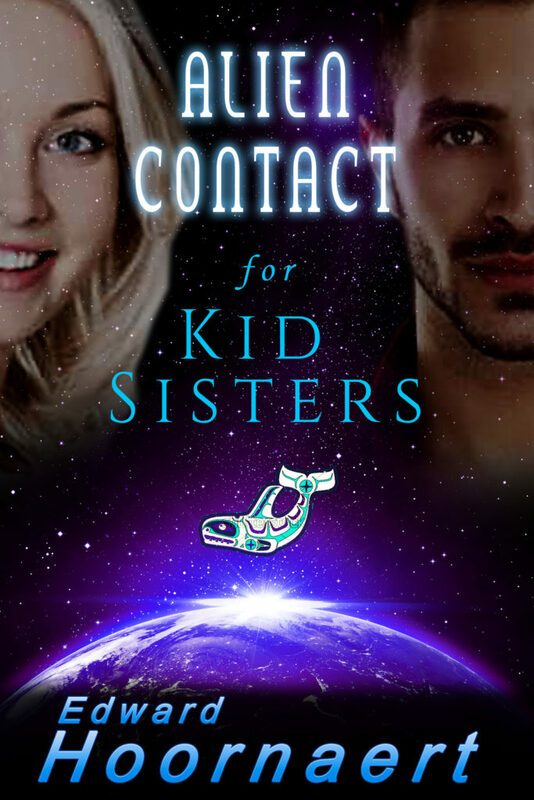 Today we’ve got a review for Alien Contact for Kid Sisters, by Edward Hoornaert. The book is free while its review tour is on, so if this sounds interesting to you, check out the buy links below. It’s science fiction romance. Chief? Quinn Lebatarde’s lips tightened at the insult, but almost immediately, he grinned. The tourist’s Rolex watch shouted money to burn, as did his expensive digital SLR camera. Quinn pocketed the money but held onto the cheap, plaster replica of an ancient Kwadran woodcarving the man and his wife were buying. Instead of giving them their mythological monster from Kwadra’s distant past, he clutched it to his chest. Not hard, though. The trashy fakes broke under the least pressure. I’d give this, oh, 3.5/5. I waffled a bit with this whole thing. I get review requests quite a bit, but this isn’t a review blog (aside from one here and there) and for some reason, whenever I do sign up for something with a deadline for the review something invariably shows up to make it difficult. I liked the excerpt but not the title, but I did eventually go for it (as you can see). I received a copy for free (as can you through Nov 2) from GoddessFish Promotions. The waffling continued while I read the book. There are some aspects that are really cool. The setup of the “aliens,” who are from an alternate version of Earth, is distinctly different from most things I’ve read. The worldbuilding and culture is neat. The plot carries along at a good pace and has plenty of action to break everything up. My biggest issues all stem from the characters, and I even feel a little waffle-y on this front. The characters are not flat or caricatures–they are well developed and have varying flaws and strengths–but they didn’t feel quite real to me. I mean, they did at points, but occasionally they would be…I’m not even sure. Too much to be real? Too intense? Not really sure how to describe it, but it would sometimes pull me out of the story. However, Elfy is my favorite character. This is the second book in the series, and a third one is coming out soon. Like many romance series, each book revolves around a different couple. I’d recommend it if you like romance and are in for some cool worldbuilding. First of all, Squiders, if you haven’t given me feedback on Tuesday’s post for the nonfiction format, please do so. My brain does not always follow the most logical of paths and input would be great. A few months ago I received a letter in the mail inviting me to subscribe to a magazine. I imagine you guys get these sorts of things as well. I tend to ignore them, because the last thing I need in my life is more magazines, but I decided to go ahead and get this one since it wasn’t too expensive. It’s called Scotland, and my justification was that I have always wanted to do some Celtic fantasy–especially Scottish over the more common Welsh and Irish, since that’s where my heritage lies–and that it might be a good place to get some story ideas. I have gotten two issues thus far, and mostly it has just made me want to go to Scotland (I spent a day there once when I was 16 as part of a whirlwind tour of the British Isles, and so did not really experience very much). They talk a lot about old manor houses and castles, which could be useful, though nothing’s caught my eye as of yet. I do like a good tea, though. But in retrospect theirs are overpriced and can be bought locally for much cheaper, even the imported stuff. Moving on to relevant things, do you remember us talking a few months ago about Wattpad? It’s a free platform where people can write and/or read stories. Some people have even found commercial success through it if their stories caught enough attention. I joined in August and have mostly been reading other stories. They’re not perfect, but I’ve found some ones that are pretty decent. Anyway, I’ve started putting up parts of the scifi serial I’ve been working on once a month for the last seven years up there, kind of as an exploration of the platform but also to get feedback on the story itself. If you’d like to read along and help me out, you can find the story here. (Otherwise, my profile is here.) Thus far I’m getting about 4 or 5 views each time I put up a part, but I have no idea how people are finding it. So I don’t have any conclusions about the platform yet. Anyone else use Wattpad, either for writing or for reading? Have thoughts about tea? Anything else new or exciting? Okay, Squiders. The winner of the nonfic subject poll was submission and publication, so I’ve gone ahead and outlined that subject. I’ve tentatively called it a “quick” guide, but now that I’ve outlined it, it’s kind of massive, so I may have to rethink that. Anyway, my general plan is to talk about the different types of publication, and then go through the submission/publication process by type of work (short story, novel, novella, etc.). I’m also going to have a “troubleshooting” section. Which seems more logical to you? Organize the topic by publication type. So have all the self-publishing together (with the different work types as subsections), all the traditional publishing, and onward. Organize the topic by work type. So have a section, for example, for short stories, and then have subsections inside that for self-publishing, traditional publishing, etc. Both seem like they could be equally useful (for example, if I do by work, someone who writes only short stories would have all the information they want in a single section, but if I do it by publication type, then someone who’s only interested in traditional publishing would have all that information in one place…), so I thought I’d see what you guys thought, especially since you’re my guinea pigs. I suppose I could try it both ways here and see which works better in the end. Anyway, thoughts? Which would work better for you? Also, if you have specific submitting/publishing questions or topics, let me know and I’ll incorporate them if I’m not already. Also, as a reminder, I’m going to have a table at MileHiCon again this year! (Well, technically, it’s a table for Turtleduck Press, but since I shall be the only one manning it due to life eating people…) So if you’re in the general area of Denver, Colorado the last weekend of October, you should come and say hi! Anyway, hope you’re having a lovely October! Let me know what you think about the format. Now, of course, some of this is format. 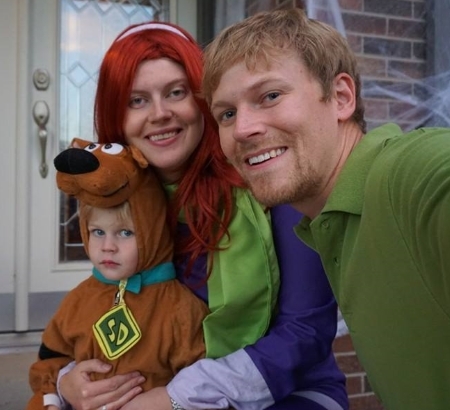 Scooby Doo, in most of its iterations, is episodic, and there’s only so much characterization you can stuff into a 20-minute episode. And, with such a large cast for such a short time slot, it makes sense to use stereotypes as people can readily identify them in the cultural norm. Happy October, Squiders! Though the leaves have not turned and today is the first real autumn-y day of the year. Get on it, autumn. Anyway. Siri’s and my long blog tour for City of Hope and Ruin has come to an end, and now I can comment on it and whether or not I felt like it was worth the time and money. Just to recap, we bought a multi-month tour, which ran from July 14 to Sept 29, and each week we’d provide a guest post, interview, or something along those lines for that week’s blog, depending on what they wanted. (Some weeks we had two blogs scheduled.) On the day the blog post went live, we’d stop by the post a few times to answer questions and thank the hosts, etc. We used GoddessFish promotions, which, coincidentally, is also where I get some of the promos I post here, such as The Ever Fiend from Monday. So, results. I feel like we got a lot of great comments on the stops, and people seemed generally excited about the book. Now, sales? They haven’t been amazing, and I don’t know that they can directly correspond to any of the tour stops. Actually, a fourth of the sales we’ve made since the start of the tour to today have been since the end of the tour, whatever sense that makes. There is a definite bump of adds to people’s “To Read” lists on Goodreads with each tour stop. Whether that will translate into ongoing sales in the long run, I can’t say. We’re still sitting at a 4.15 score on Goodreads, which is pretty good. We did get some reviews on both Goodreads and Amazon from the tour, which is very nice. (We’re sitting at a 4.5 score on Amazon, but there are less ratings there since Amazon doesn’t let you leave a rating without a text review anymore. Unless I’m crazy.) You guys know how crazy it is to get reviews, so it’s almost worth it just for that, especially since everyone liked the book. Would I do it again? Hmmm, not sure. In the direct work to sales ratio, the results weren’t great. But the reviews are nice, and it was a good way to reach a ton of people I never would have otherwise. 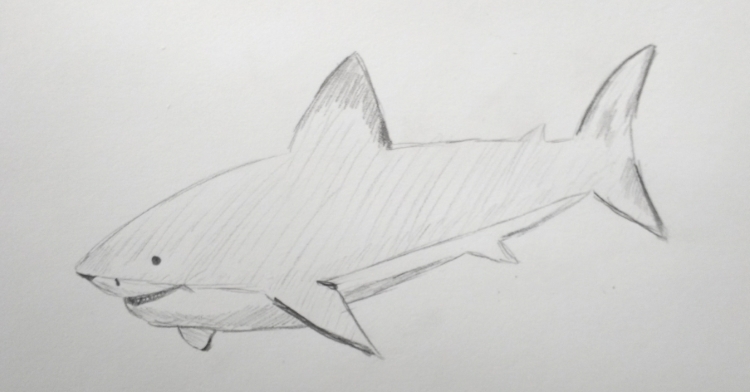 Now that that’s over with, who wants to see the shark I sketched this morning? Now that I’m doing sketchtober, I remember that shading has always eluded me. I also tried to draw my youngest, but she kept moving. You’ll also be pleased to know that I continue to take my revision planning seriously. How are you, Squiders? Other authors, any marketing things that have worked well for you? Non-authors, what are your feelings on sharks? Happy Monday, Squiders! 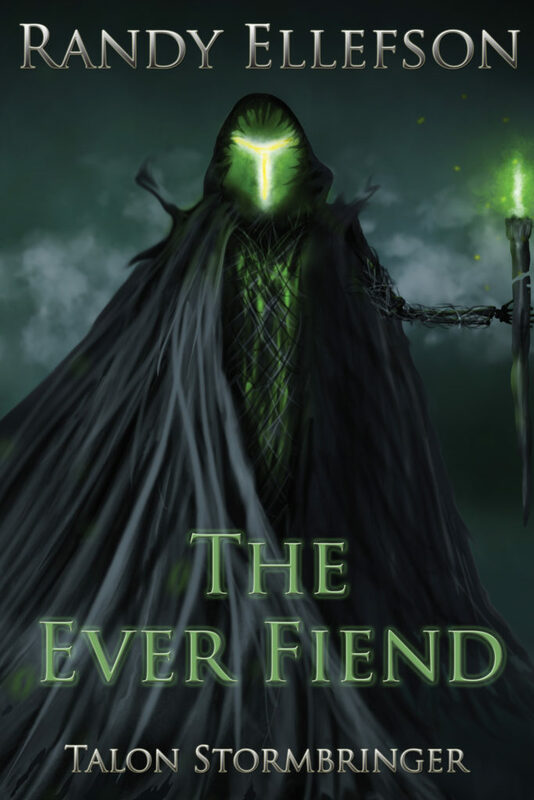 I’m pleased to introduce The Ever Fiend by Randy Ellefson. Randy’s also giving away a giftcard as part of his book blast, so look for the entry info at the bottom of the post. to scare unruly youngsters into behaving. turned around, a scowl on his face.